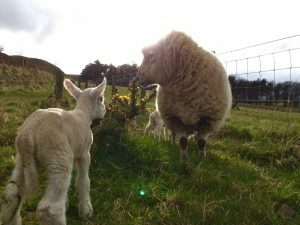 Swanston Farm nestles into the base of Caerketton Hill, one of the most striking peaks in the Pentland Hills Regional Park. 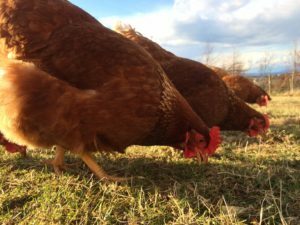 Within just 5 miles of Edinburgh City Centre and boasting 700 acres of land, Swanston Farm is a mere 15 minute bus journey from Princes Street and Edinburgh Castle, offering a fantastic selection of facilities to locals, visitors and tourists alike. Take a virtual tour around Swanston Fam here. 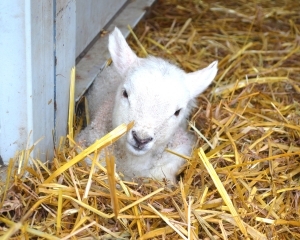 Over the last 35 years, Swanston Farm has evolved through many changes, diversifying from arable and livestock farming to include more leisure-based activities and commercial business – and now boasts 6 beautiful self-catering holiday cottages, business lets, a public Brasserie which commands stunning views in all directions, a ‘Disc Golf‘ course, equestrian livery stables and residential lets. The Farm is also home to an 18 hole golf course, a 9 hole short course and a driving range, run by Swanston Golf. 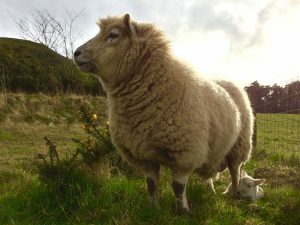 Swanston Farm is still a working farm and visitors can, if they are lucky and prepared to hike a little, see our herd of Highland Cattle, grazing the 300 acres of hill land on the Pentland Hills above the historic Swanston Village, as well as spot our sheep grazing the lowland fields and visit our free range hens pottering about their paddock. 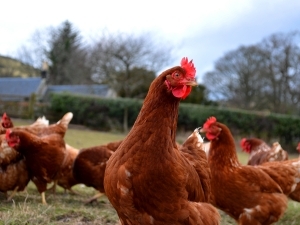 Access to Swanston Farm is just off the Edinburgh City Bypass at either Dreghorn or Lothianburn junctions. Why not come and start your day here, with a hearty, freshly cooked breakfast and reviving hot drink. Contemplate the day ahead whilst you enjoy the panoramic view and take a breather. You don’t have to go far, to find peace, tranquility and inspiration. 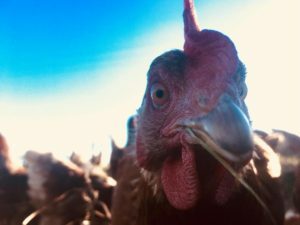 You’ll find it all at Swanston Farm. Enjoyed by mountain bikers, hikers, horse riders, families and those who simply want to breathe in the fresh air, take in the stunning vista and explore the natural habitat. Home to many communities of wildlife, the Pentland Hills Regional Park will delight, surprise and challenge you. Feel the rocks under your feet and let the tracks and paths take you exploring. Easily accessed by foot, it really couldn’t be easier or quicker to stride out into the fantastic landscape. 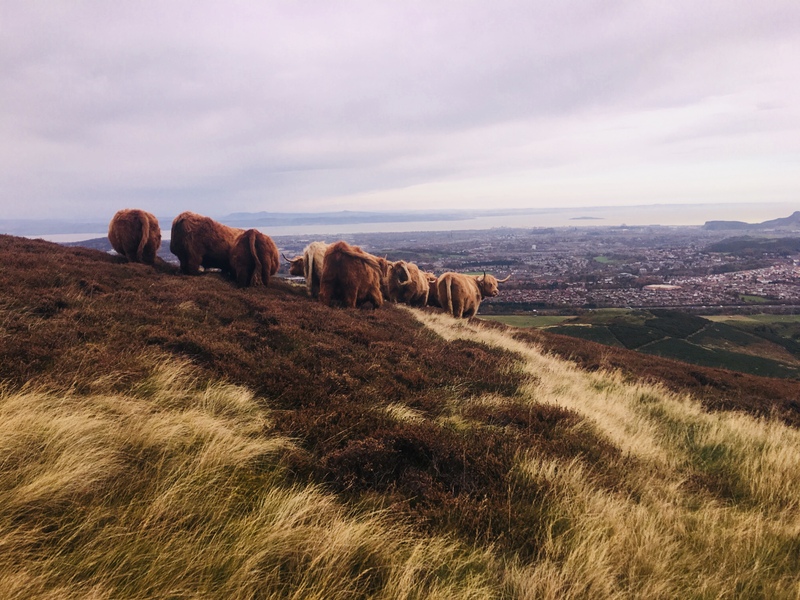 Shaped over thousands of years by glaciers and water, the geology of the Pentland Hills Regional Park comprises mainly of 390 million-year-old Devonian Old Red Sandstone and outcrops of fossil-rich Silurian rock. With nearly 25,000 acres of countryside, including over 100km of paths, there is always something new to explore. There is an Edinburgh Council car park right next to Swanston Brasserie for your convenience. Take a look at the Pentland Hills Regional Park website for more information about the area, including routes and trails, activities and events. 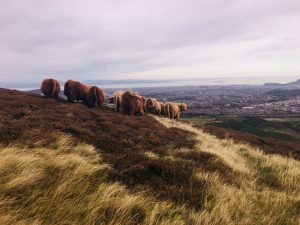 If you are interested in the Geology of the Pentland Hills and surrounding Edinburgh and Lothian areas, visit the Edinburgh Geological Society’s website where you can read about the fascinating beginnings of the area dating back millions of years, find out about their excursions and events, local geoconservation groups and how to become a member. You can also download a variety of free leaflets, including the ‘Pentland Rocks‘ leaflet. For an Edinburgh city centre visit, an absolute must on your list is the famous ‘Mr Wood’s Fossils’ shop in the Grassmarket – run by owner and geologist Matt Dale, who took over the business from founder and ‘celebrity’ Paleontologist Stan Wood, this shop is an absolute treasure trove of global artifacts that you can look at and purchase. Take a look at this article from The Scotsman newspaper telling you all about Matt and Stan and Edinburgh’s only Fossil shop. 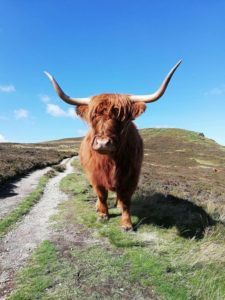 Visitors are welcome to visit the farm at any time on an informal basis and enjoy the walking routes, any of the outdoor activities or take a more strenuous walk up the hills to spot the Highland Cows. There is no need to request a visit or to book for this. Visitors are very welcoming to pop in to our Brasserie for refreshments or food during opening hours – see our Brasserie web page for more information. If you would like a personal tour of the farm or would like to arrange a group tour, please contact our office via telephone on 0131 445 2239 (Option 3) or via our Contact Us page and this can be arranged accordingly. 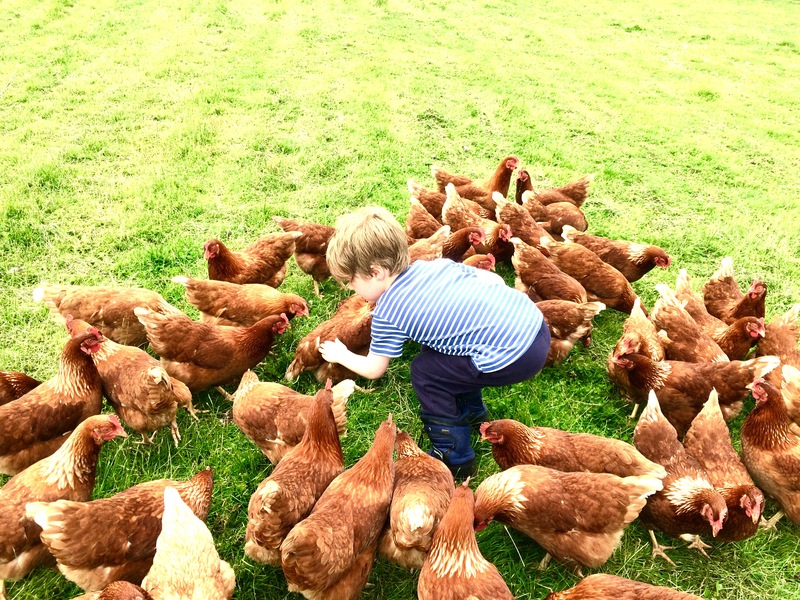 We can happily accommodate school groups wishing to visit the farm. Please contact our office via telephone on 0131 445 2239 (Option 3) or via our Contact Us page and this can be arranged accordingly. Walking tour of the farm. 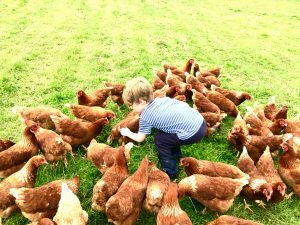 To include the unique Swanston Village with its early 18th Century thatched cottages, Swanston Cottage where Robert Louis Stevenson spent much of his early years with his family and a visit to see the farm animals including the free range hens and our lovely Highland Cows. 1, 2 or 3 course lunch or dinner at Swanston Brasserie. À la carte or buffet options are available. Guests will dine with stunning views over the historical 18 hole golf course, the City of Edinburgh, the Pentland Hills, The Firth of Forth and out towards the East Lothian coastline. 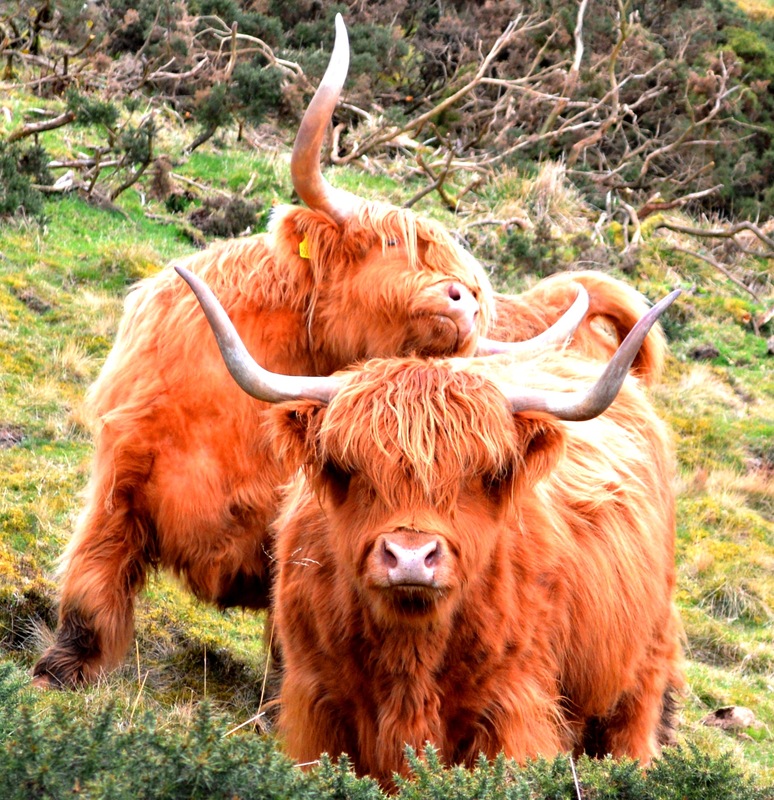 Visitors to Swanston Farm are able to see our herd of Highland Cows if they are prepared to take a hike up the hill! 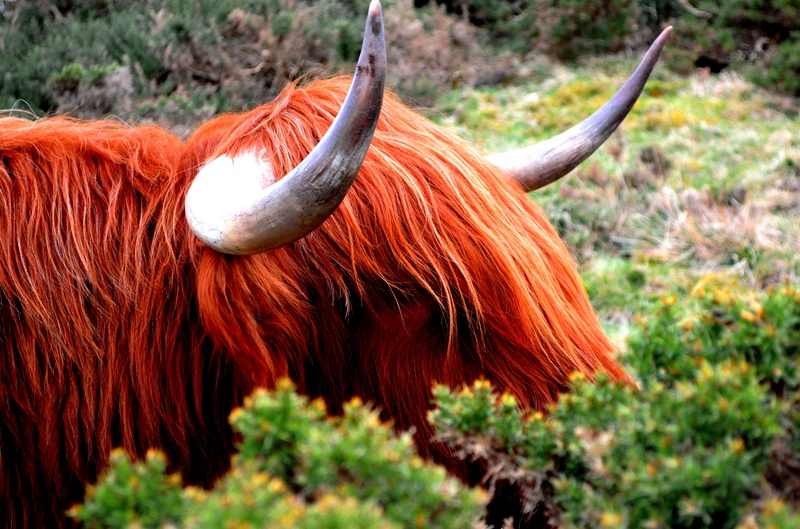 Please be aware that our Highland Cows graze 300 acres of hill land above the farm and can be found anywhere in this area – there is no guarantee that you will find them as they can sometimes hide away in bad weather in sheltered nooks on the hills – or on very hot days they will mostly be at the highest points of the hills, where the air is coolest (this is climb is from 815ft/248m AMSL up to 1474ft/450m AMSL!). We do, however, have 2 of our female Highland Cows in a field just 300 metres up the path above Swanston Village from Summer (May/June) to Autumn, for those who are pushed for time or won’t cope with the walk up on to the hills. 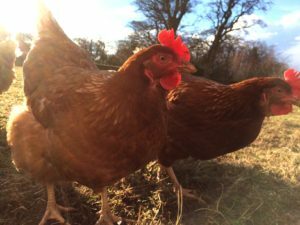 ‘Thelma and Louise’ are ex-show cattle and are very relaxed, however please do not enter their field or allow dogs to scare them. They are living out their retirement at Swanston Farm and we want to ensure that they enjoy their days in relaxation! 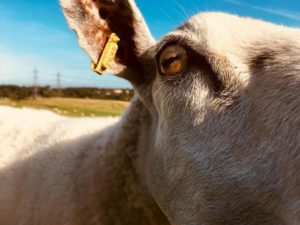 They might come right up to the fence or gate and give you a big sniff, so watch for their slow-swinging horns if they come very close to you. Please do not feed them anything – cows have a very sensitive digestive system and can get extremely ill if fed foodstuffs not designed for cattle. For those prepared to walk the extra distance to see our main herd of Highland Cows, we recommend sturdy trainers or preferably walking boots, along with appropriate clothing for the weather conditions before venturing out up the slopes at the bases of Caerketton Hill and Allermuir Hill of the Pentland Hills Regional Park. You can sometimes get quite close to our Highland Cattle – enough to take good photographs – however as they are not used to humans touching them, we recommend that you don’t try to cuddle or stroke them! Please keep dogs under strict control around them and avoid startling the cattle. You can download our booklet on our Highland Cows which tells you where to find them, shows a map with a recommended walking route and some interesting facts about our herd. We use our Highland Beef in our Brasserie, available on our menu from time to time. For more reading about Highland Cattle, take a look at the Highland Cattle Society. If you or your production company is interested in using our cattle for filming or fashion shoots, please contact us in the office via email or via telephone on 0131 445 2239 (option 3). 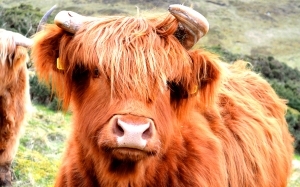 Watch the VisitScotland video campaign #ComeAlongScotland featuring our Highland Cattle here. In the Summer of 2018 we welcomed 2 male models, Glen Power at SUPA Model Management and Richard Keep at ELITE LONDON, photographer Simon Lipman, stylist Hannah Beck and make-up artist Oscar Alexander to Swanston Farm as part of their trip to Scotland from London, to photograph a range of clothing for South China Morning Post‘s Magazine, ‘Style’. 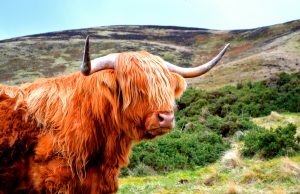 Our Farm Team worked alongside their Fashion Team with some of our animals, including our Highland Cows, Sheep and Horses. You can take a look at the results in the online Style article by Chief Editor Jacqueline Tsang here. You can also see further images on the website of the Stylist, Hannah Beck here. 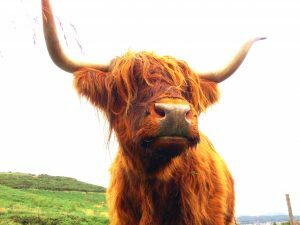 You can also follow Swanston Farm on Twitter for more about what we do here, as well as regular updates about our farm animals, especially our Highland Cows every Tuesday (#Coosday). 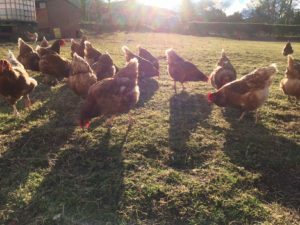 We have a large group of free range Lohmann Brown hens at the Farm which are incredibly friendly and like nothing better than chatting away to walkers and children passing by their paddock and stopping to say hello. 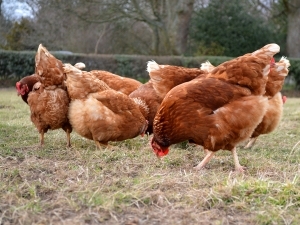 All of our hens lay eggs which are collected and used for Swanston Brasserie. We ask that dog walkers keep their dogs under strict control when passing our hens, to prevent any accidental chicken dinners – please remember: these are our clucky ladies that all have names and are not fair game for passing pooches! Swanston Farm is a working farm and every year we breed from our Ewes. Lambing usually starts around March/April time and keeps us very busy! Our sheep are a Texel-cross breed and produce strong stock that are hardy enough to endure the often harsh Scottish winters. Sadly we have had fatalities as a result of sheep worrying, so we ask that dog walkers keep their dogs under strict control whilst passing our sheep and lambs all year round. 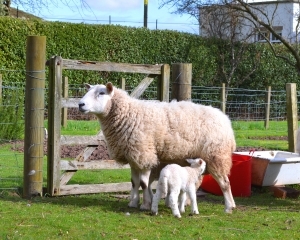 Our flocks of sheep graze amongst the low-lying fields on the farm alongside the horses and can be seen if you are walking around the perimeter of these fields. Visitors are not permitted to enter the livestock fields. 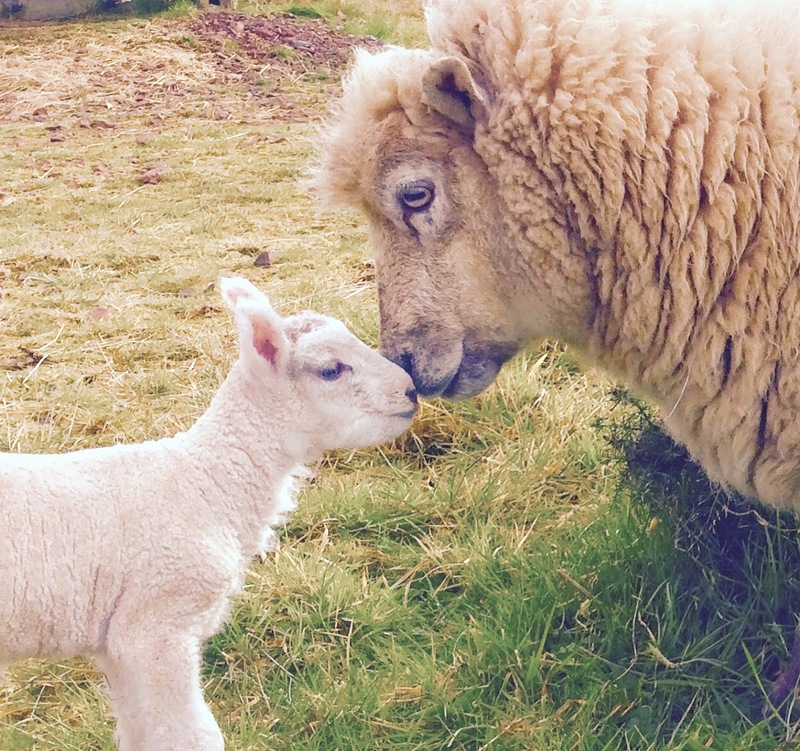 We use our lamb in our Brasserie, available on the menu from time to time. 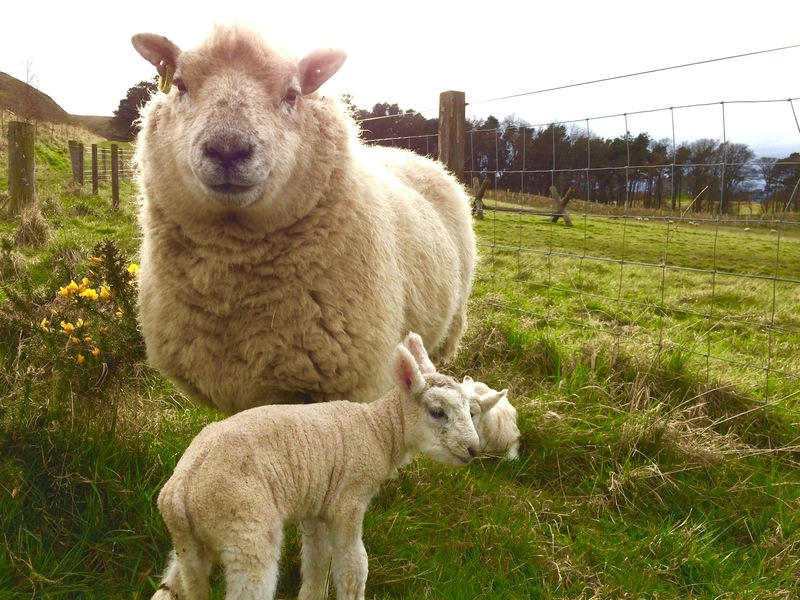 To read more about the Texel breed of sheep, visit the Texel Sheep Society.